Playwrights ask questions. Power of Beyonce. Who is Caryl Churchill? Image: Beyonce/Instagram. Boticcelli's Venus via Wiki/Uffizzi. Caryl Churchill is one of our greatest living playwrights. Yet outside of the Arts world, I suspect not many people would appreciate that. It's not a far leap to suggest she is one of our greatest living female artists then, if play writing is considered an art. I'm unsure if Churchill's relative anonymity speaks to the arguably niche area that theatre currently occupies. A 4 week run at London's Royal Court (the theatre probably most associated with Churchill) would reach perhaps 2,800 people each week, if lucky. A recent Instagram (about 2 days old) by Beyonce (around 100m followers) has 9.5m likes. 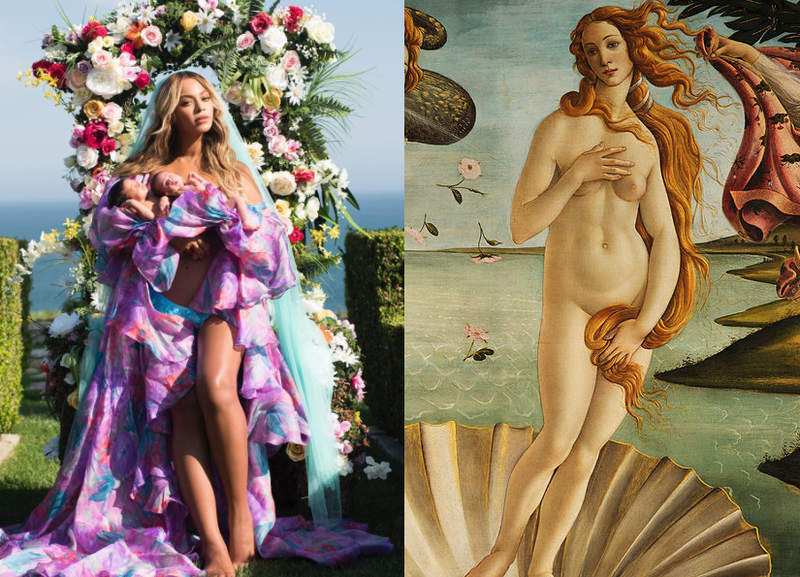 That the image seems to have references to Boticcelli's Venus and is taken by Awol Erizku who worked for a time under David LaChappelle, is of interest to Arts observers like me. It references old and new. Beyonce is also one of our greatest living artists. Yet the sheer staggering reach of Beyonce leaves me stunned when I try to comprehend it. Beyonce has been making points about Black Lives Matter, perhaps it will be someone like her and Jay-Z, who cross the silos and drive people to find new solutions to complex problems. I believe the technological and societal forces that have pushed us into "like-meeting-like" and rest in our own silos, need constructive forces to collide our silos together. If LaChappelle can talk about positivity and Beyonce can highlight Black concerns, perhaps we can bend course to a sustainable and better future and away from inequity and extremism.